‘Super Matt’ did it again! 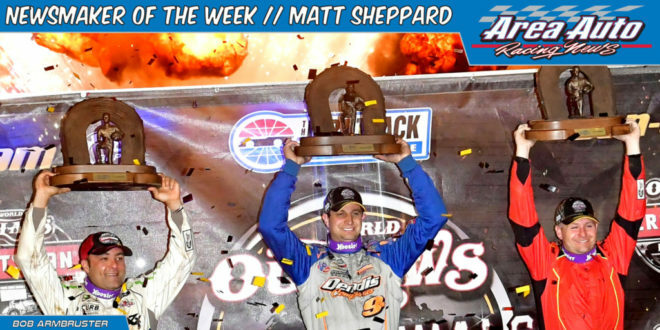 At Charlotte in the World Finals last weekend, Sheppard raced to a record fourth straight Super DIRT Series championship and his seventh overall. Only Brett Hearn, who has eight career titles, has won more and Sheppard, clearly is on track to tie, even surpass Hearn’s standard. Sheppard didn’t win either of the twin features outright at Charlotte. In fact, the title outcome was still very much in doubt before the weekend started. In a year when no one driver dominated in the SDS, Sheppard was better more often, a measure of consistency that earned him yet another crown. 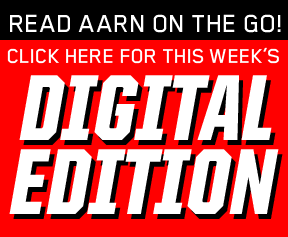 For winning the Super DIRT Series title yet again Matt Sheppard is AARN’s Newsmaker Of The Week.